Wireless devices today are more sophisticated than ever before. And because of that, the costs associated with upgrading to a new device have increased and is reflected in our new upgrade fee... This fee isn’t unique to AT&T and this is the first time we’re changing it in nearly 10 years. 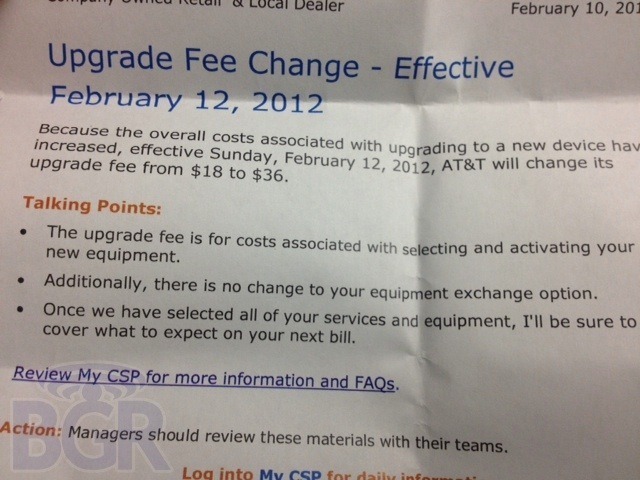 The new pricing will take effect on February 12, and will apparently apply to all existing customers, not just new ones.